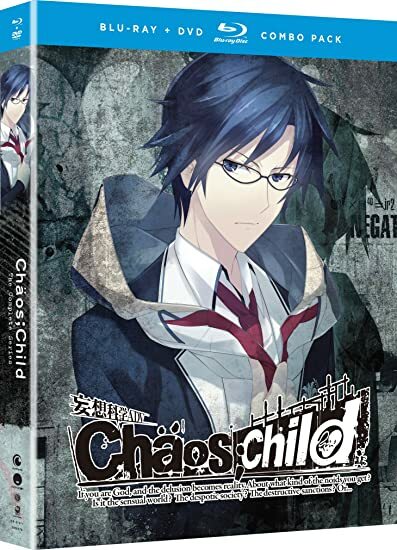 Chaos Child - BUY THIS BLU-RAY! A new psycho-suspense story unfolds from the creators of Steins;Gate and Chaos;HEAd. Six years after surviving a deadly earthquake, Takuru Miyashiro leads his high school newspaper club in a murder investigation. A string of bizarre deaths is forming a hauntingly familiar pattern, much like an incident that plagued the city years ago. Before long, he and his friends land squarely in the killer’s crosshairs. But given the nature of the victims’ deaths, is the person they’re tracking a total psycho or a psychic? Innocent lives are taken one by one as Takuru and his crew uncover horrific secrets about the world and themselves. THEN SEND IN A COMMENT ABOUT YOUR FAVORITE FUNIMATION TITLE (you may click on artwork above for a refresher) PLUS YOUR NAME AND ADDRESS TO contests@efilmcritic.com or WeLoveHBS@aol.com. (Just one e-mail please.) Put [b]"ANIME ABOUT THE PRESIDENT?" in the subject line and cross your fingers. We will draw names and one of the prizes could be yours. Only 1 entry per household.